If you’re looking for a whole lot of love wrapped up in a small package, you’ve come to the right place! 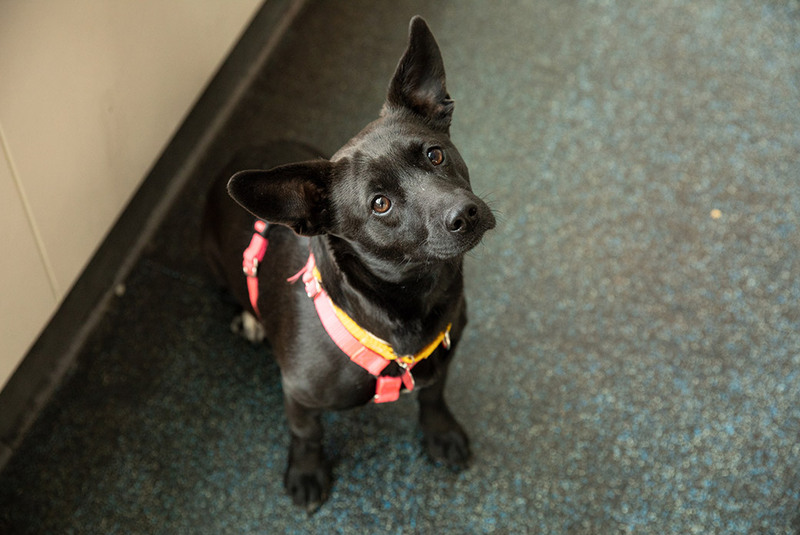 “Sweet” is Brienne’s middle name, and she’s looking for someone who can help her overcome her shyness to show the world just how spunky and playful she really is! Could that be you? Big fan of: Games! When she’s in her element, this pup’s fun-loving energy is contagious. Brienne particularly enjoys tossing and playing around with soft toys, and there’s nothing more amazing or mesmerizing than an entire pile of them! Brienne gets nervous around strangers and needs time to get comfortable. But, she has no hesitations when it comes to including all her favorite humans in her can’t-be-missed play sessions! She trots right on over to you, looks up with those pretty eyes, and asks you to join in! Brienne is a lovebug (or rather, lovedog) at heart, so after the games are said and done she likes to relax while getting the gentle pets and scratches she knows she deserves. 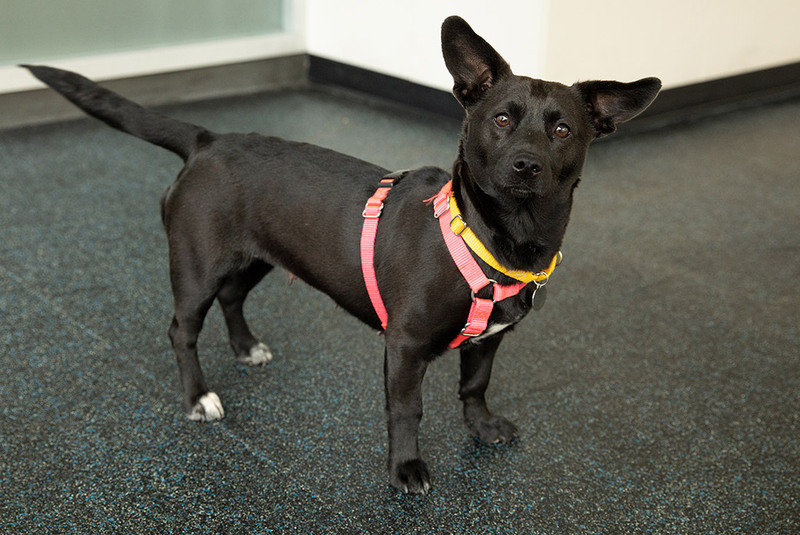 Special features: Brienne is eager to learn more of her basic manners! She’s working hard on every “good girl” skill there is to learn, including being comfortable and confident on a leash and around new people. 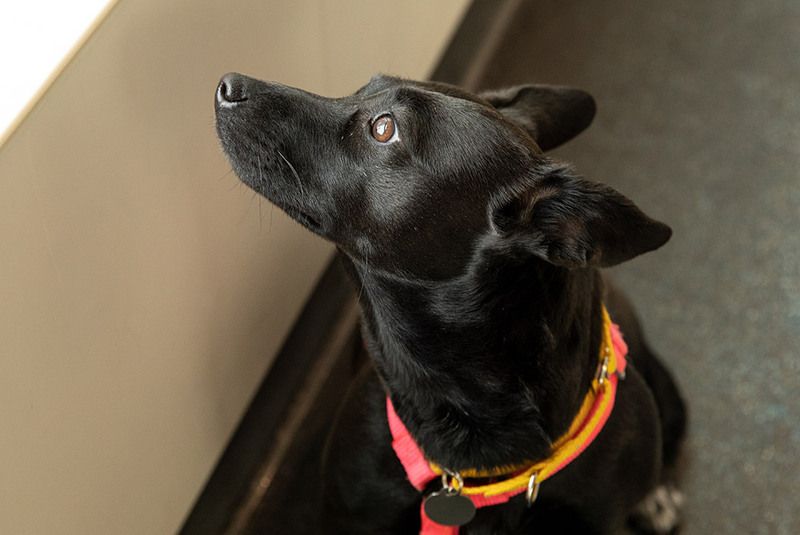 Dream home: Brienne is looking for an adopter with shy dog experience who can help her become more comfortable around potential new friends. She can live with children ages 10 and up.